Sports fans, athletes, and parents of athletes, Lenz Photography LLC of Knoxville is proud to announce that our 3rd annual round of Iconic Sports Sessions in the studio kicked off this Spring 2017 featuring some of the most amazing athletes East Tennessee has to offer! From Baseball & Softball to Jiu Jitsu to Karate, LENZ specializes in photographing athletes of all sports. With the same high quality production LENZ has used on professional athletes such as Drew Brees, Jason Witten, Rich Froning, Carlos Condit & more, LENZ produces ICONIC results unlike any other! This set features 31 Iconic Images of Football Player Ayden of Grainger County! Sports fans, athletes, and parents of athletes, Lenz Photography LLC of Knoxville is proud to announce that our 3rd annual round of Iconic Sports Sessions in the studio kicked off this Spring 2017 featuring some of the most amazing athletes East Tennessee has to offer! From Baseball & Softball to Jiu Jitsu to Karate, LENZ specializes in photographing athletes of all sports. With the same high quality production LENZ has used on professional athletes such as Drew Brees, Jason Witten, Rich Froning, Carlos Condit & more, LENZ produces ICONIC results unlike any other! This set features 22 Iconic Images of Football Player Troy of Grainger County! Sports fans, athletes, and parents of athletes, Lenz Photography LLC of Knoxville is proud to announce that our 3rd annual round of Iconic Sports Sessions in the studio kicked off this Spring 2017 featuring some of the most amazing athletes East Tennessee has to offer! 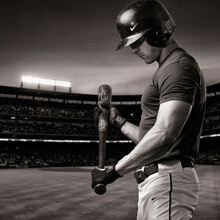 From Baseball & Softball to Jiu Jitsu to Karate, LENZ specializes in photographing athletes of all sports. With the same high quality production LENZ has used on professional athletes such as Drew Brees, Jason Witten, Rich Froning, Carlos Condit & more, LENZ produces ICONIC results unlike any other! 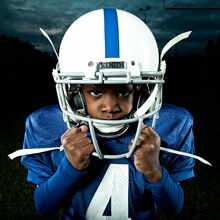 This set features 25 Iconic Images of Football Player Aiden of Grainger County! Sports fans, athletes, and parents of athletes, Lenz Photography LLC of Knoxville is proud to announce that our 3rd annual round of Iconic Sports Sessions in the studio kicked off this Spring 2017 featuring some of the most amazing athletes East Tennessee has to offer! 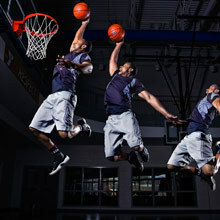 From Baseball & Softball to Jiu Jitsu to Karate, LENZ specializes in photographing athletes of all sports. With the same high quality production LENZ has used on professional athletes such as Drew Brees, Jason Witten, Rich Froning, Carlos Condit & more, LENZ produces ICONIC results unlike any other! This set features 24 Iconic Images of Football Player Ty of Grainger County! Don't miss out! Subscribe and get notified when we post more awesomeness like this! Copyright © 2014 Lenz Photography. All Rights Reserved.